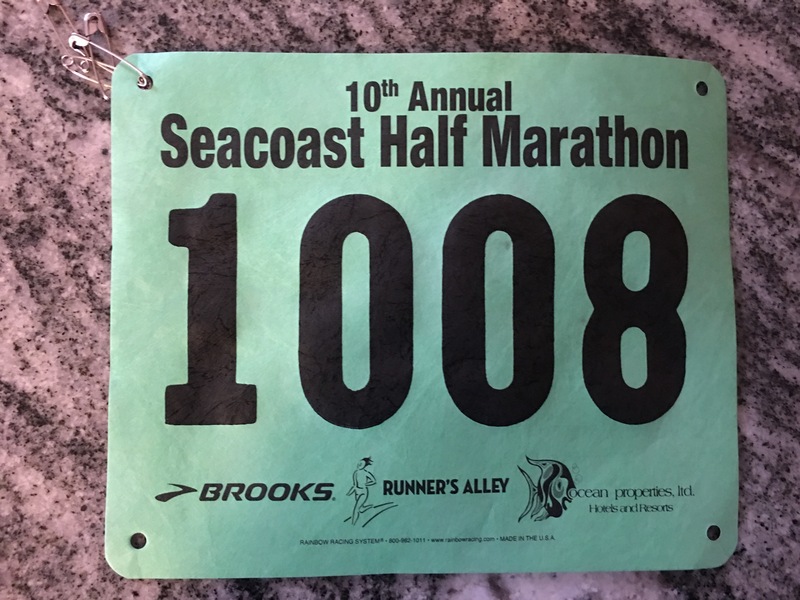 Well, completed the Seacoast Half Marathon today and after finishing with a new PR (and 16 minutes better than my last half), I am feeling a bit sore tonight and debating if I am taking tomorrow off from running! In the meantime before sharing the full review of the Half (later this week), lets throw out a few bullet points. Cold, Cold and Windy: So when I arrived there today, it was pretty darn cold. I texted my wife and basically said stay home because the kids would be miserable. Well, half way through the “half” it started to warm up. Then it started to get cold again. Finally, the last 2 miles were like running up a treadmill as the wind was very strong! And it was once again cold. My Watch versus the official Time: Ok, so I started my watch about 15 seconds before crossing the starting line and stopped it about 5 seconds after I crossed the finish line. Yet, my official time was actually higher. Also I ran 13.36 miles today versus the official distance of 13.1. Haven’t quite figured that one out though perhaps my GPS was off? Volunteers: Once again, great volunteers for this race. Every one that I came across was helpful and supportive. The post race food was good and being indoors was majorly important given it was only 40 degrees today! Indoor bathrooms beat porta potties! The Course: Not particularly difficult but the last 2 miles were all wind and then there was a 100 yard steep climb which is a killer when you have run 12+ miles. Also I made the mistake of not preparing for it ahead of time (going to fast in front of it) so getting up was a challenge. Other than that, the views were great and the traffic was minimal. The mile markers didn’t seem to be placed correctly but I had my watch so they did not seem to be a big deal. Pacers: I came to appreciate their job today. They need to stay at the same pace for 13.1 miles. I know that I could not do it! I trailed the 8 minute/mile pacer for the last 10 miles and ended up coming in slightly under. That’s about it for now. A more detailed review will be coming later this week.